A bill that would allow 18- to 20-year-olds with military backgrounds or affiliations to carry concealed weapons was introduced Thursday in the state Assembly. CARSON CITY — A bill that would allow 18- to 20-year-olds with military backgrounds or affiliations to carry concealed weapons was introduced Thursday in the state Assembly. 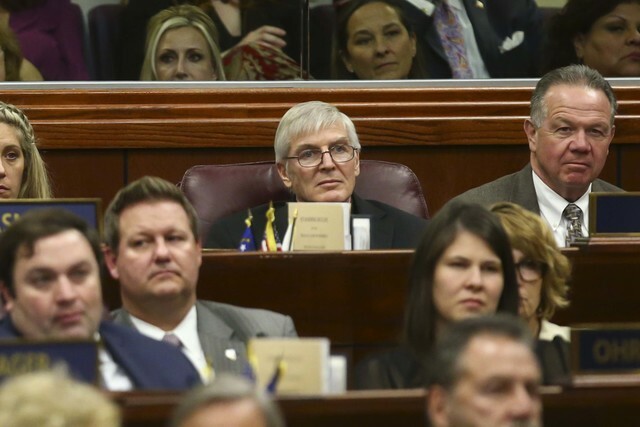 Assembly Bill 118 is sponsored by Sparks Democrat Skip Daly, who said Nevada law requires concealed weapons permit holders to be at least 21 years of age. The genesis of the measure is a discussion the lawmaker said he had with a a constituent in 2014 who was a military police officer with the Nevada National Guard who was too young to obtain a permit. Daly’s bill also would pertain to people in or have been honorably discharged from the military. Daly put the bill in ahead of the 2015 session but he did not win re-election. He won his District 31 seat back in 2016 and so requested the bill for this session. “I believe it is still a valid point and that is why we introduced the bill,” Daly said.